The “Hot” Diggity Dog is captained by Jim Purcell. 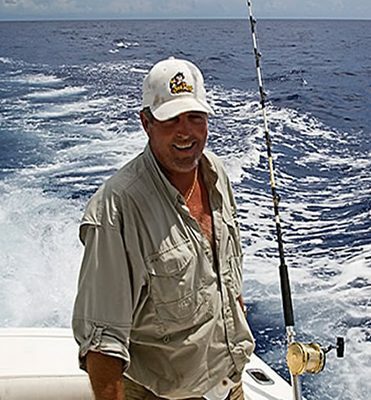 The Offshore & Deepsea Fishing Specialist For The TV Shows “The American Outdoorsman”, “Manny Fernandez’s Rod & Gun Club” and “Adventures In Paradise”. Captain Purcell is a USCG 100 Ton Licensed Master Captain. The Purcell family has been living and fishing the Florida Keys since the 1950’s, beginning with Web Purcell (Jim’s father). Their first boat, the Virgalona was used by the famous treasure hunter Mel Fisher to salvage the Atocha. The Purcell family has been living and fishing in the Keys since the 1950’s. The first boat was the “Virgalona” which was most recently used by Mel Fisher (the treasure hunter) salvaging the “Atocha”. 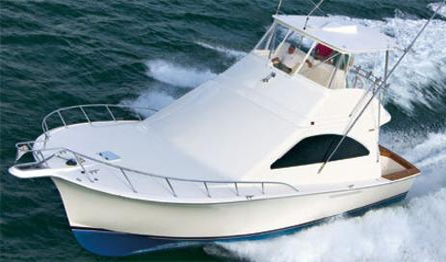 The Purcell family started out as commercial fisherman and has since moved to charter boats – Sea Dog Charters. 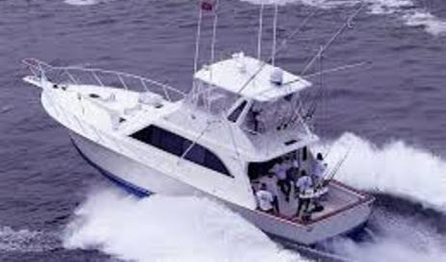 Now operating a busy charter fishing fleet, we usually have three boats out on the water each day… this keeps us abreast of what’s happening, giving our captains a distinct advantage. Let our “Keys Expertise” work for you on your next charter. 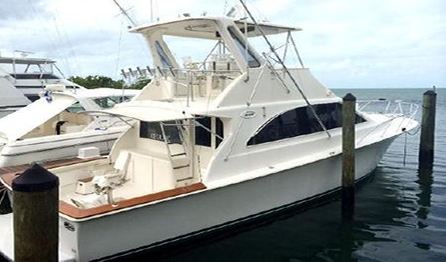 Hot Diggity Dog is a fully equipped sports fishing vessel with ice cold air conditioning. It is equipped with a fighting chair to help you bring in your big catch!